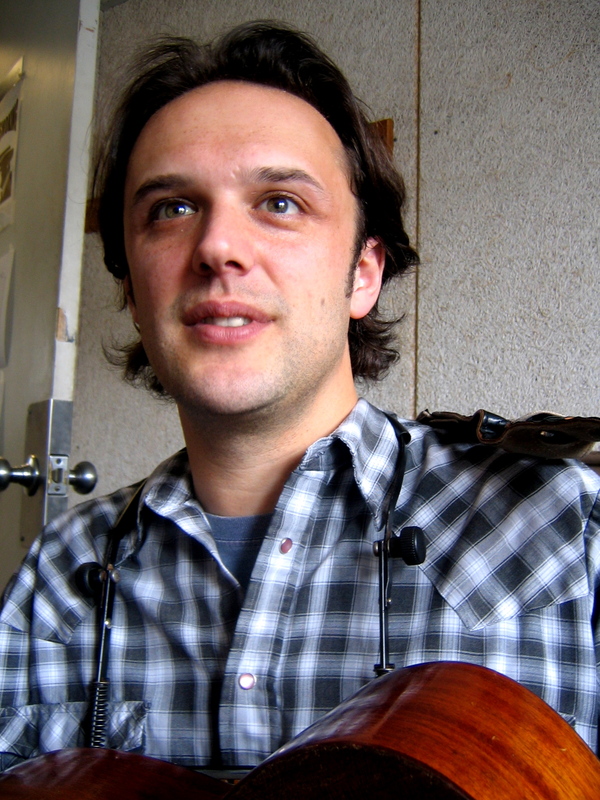 Thursday, June 5 will be a return of sorts for Mark Erelli. “It feels like coming back to visit old friends,” says the singer-songwriter, who performed at Oona’s and the Windham when they were both open. Erelli opens the ninth annual “Fred Fest,” four days of music officially called Roots on the River, with a set at the newly remodeled Bellows Falls Opera House. He’ll play songs from his forthcoming album, then join Lori McKenna’s band for her headliner set, something he’s been doing for the past few years. Usually, he sticks to backing McKenna, a task that last year found him in front of thousands of Tim McGraw and Faith Hill concert fans and national television audiences, and in support of her “Unglamorous” album. But with a new record to promote, Erelli’s doing double duty. The new album, called “Delivered,” is due for release later this summer, though fans can buy it at a few select preview shows. It’s a work that Erelli considers to be the high point of his 10-year career; a deft blending of the topical and personal. “It’s like ‘Hope and Other Casualties,’ only more so,” he says, though it’s imbued with a sense of optimism that was missing from his last album of new songs two years ago. He isn’t pulling his punches, whether denouncing a president “who’d rather talk to Jesus than those who disagree” or lamenting history’s courageous leaders who were “rewarded with a bullet to the brain,” but Erelli seems to have more faith that things will turn out well. The title of the record’s opening track, for example, is “Hope Dies Last.” In it, Erelli bookends the world’s problems – floods, fear and tyrants – with his own domestic bliss. The buoyant “Once” celebrates the birth of his first child, an event that informs much of the record’s mood. The album’s centerpiece is the title song, a haunting, gorgeous meditation of enduring love. With a beautiful counterpoint from Crooked Still vocalist Aoife O’Donovan, “Delivered” is an elegy wrapped with a sense of wonder, stark in mood and deceptively simple in structure. “Delivered” was made through a creative financing scheme that Erelli dubbed a “musical barn raising.” “I got a bunch of fans to contribute all different kinds of money and basically paid for the project in advance,” he says. Backers included old college friends, long time fans and supporters, some of whom he knew well, and others he didn’t. When he began advertising for investors early in 2007, Erelli was unsure of what kind of response he’d receive. He wound up with more money than he’d planned on in less time than anticipated. For their contributions, each “barn raiser” received an early copy of “Delivered,” along with posters, unreleased tracks and other goodies.